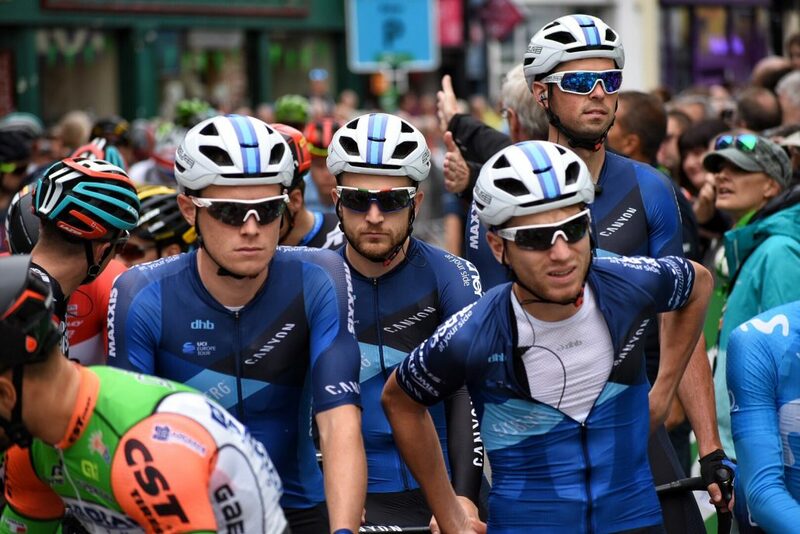 Andrew Tennant sprinted to a brilliant ninth place on stage four of the Tour of Britain. 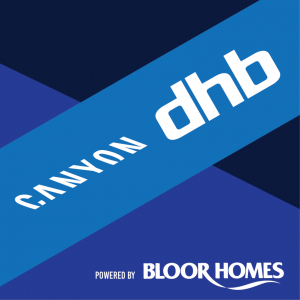 The Canyon Eisberg man delivered a smart effort in the technical Royal Leamington Spa finale as André Greipel clinched his second win of the week. 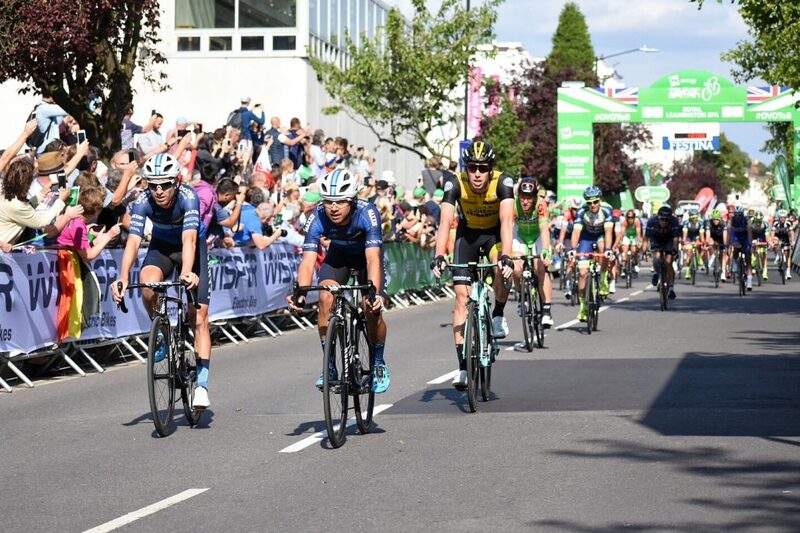 Sacha Modolo was runner-up, while race leader Patrick Bevin snatched third to eke out a few more bonus seconds on his rivals in the overall. Meanwhile, Max Stedman jumped four places on the general classification to 18th. He rolled home 25th – one place behind his Canyon Eisberg team-mate Ryan Christensen – on a day which saw Alex Paton shine up the road. 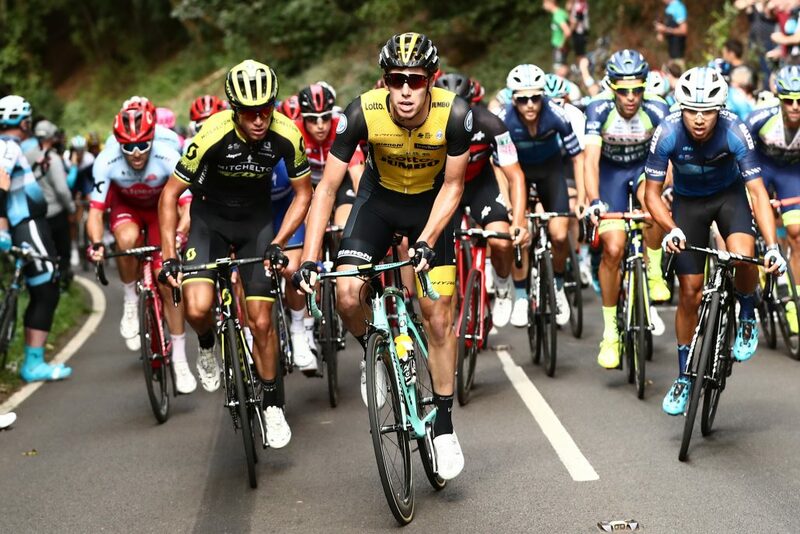 Stage four of the Tour of Britain saw the peloton set out from Nuneaton and cover 183.5km en route to the finish in Royal Leamington Spa. A breakaway group of six formed quickly – with Paton involved. He was joined by Team Dimension Data’s Nic Dlamini, Paul Ourselin, of Direct Energie. And the group was completed by ONE Pro Cycling’s Hayden McCormick, Matt Holmes, from Madison Genesis, and JLT Condor’s Tom Moses. With the gap hovering around the two-minute mark, Paton was narrowly beaten by Holmes in the opening intermediate sprint in Kenilworth. The Madison rider took the dash for the line in Wellesbourne, too, catapulting himself up the Eisberg points standings. And he was first to crest the summit of the category two climb at Ilmington, holding off Dlamini and beating the early charge of Moses. Next up were the ascents of Edge Hill and Burton Dassett which arrived in quick succession inside the final 50km. Holmes’ assault on the primes continued on the first of the category two tests as he soared over the top in front of his fellow escapees. Meanwhile a couple of minutes later, Paton’s Canyon Eisberg team-mate Stedman put his nose in the wind to lead the peloton over the summit. It was the same story up front on Burton Dassett, with Holmes kicking clear of Dlamini to take the points once again. 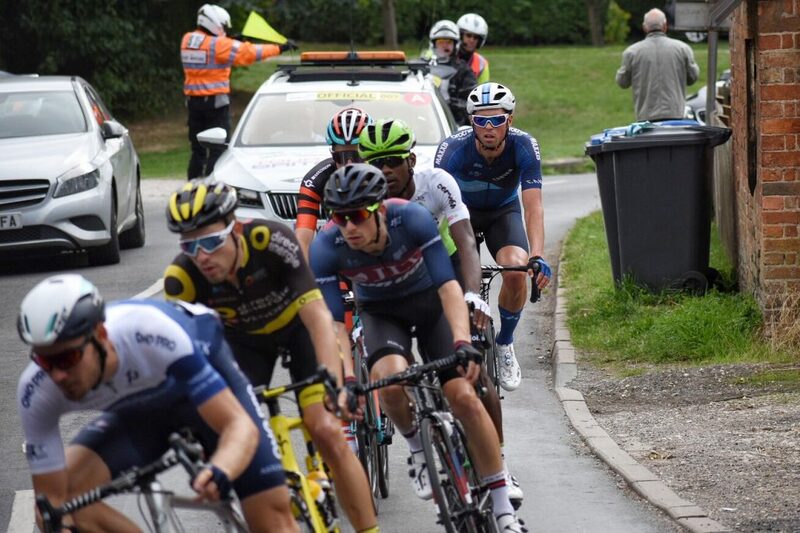 The breakaway’s advantage had been whittled down to 90 seconds now as Dlamini sat up up and let the other five press on. 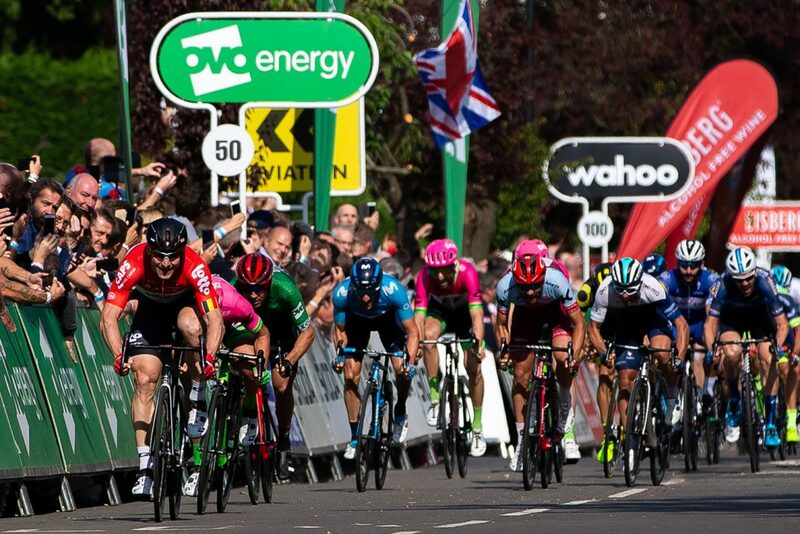 Paton refused to roll over, though, and fought right to the end – taking second to Holmes on the final intermediate sprint in Southam. 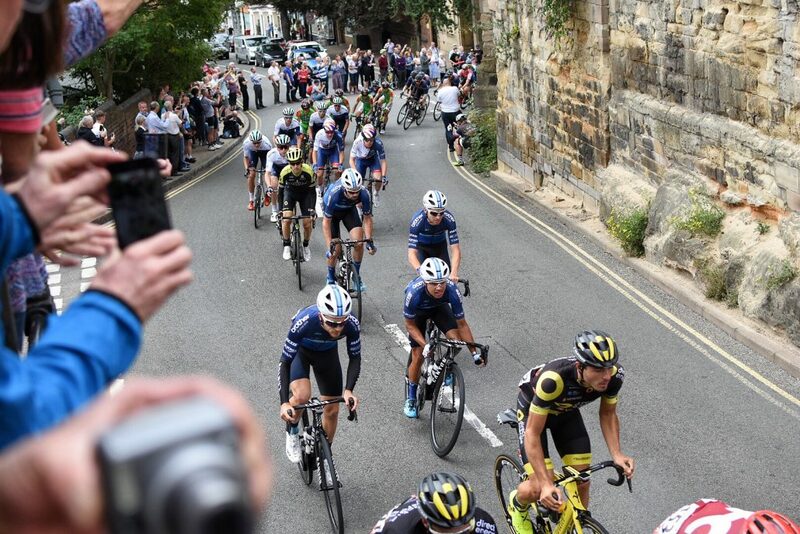 However, when the breakaway was finally swept up it was all eyes on the finish and the widely-anticipated bunch kick. 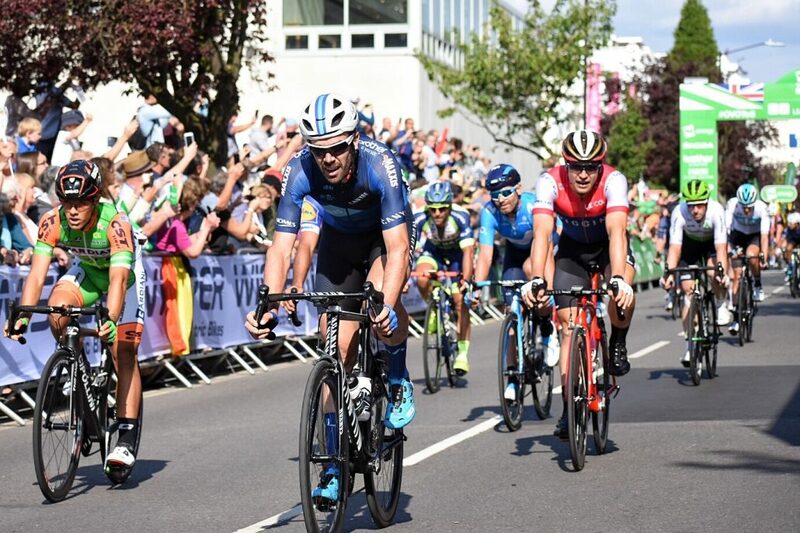 Rory Townsend (37th) also finished within the main group, while Paton and Dexter Gardias came in 44 seconds down on the triumphant Greipel. Click here for the full result.